I spent last weekend soaking up the beautiful spring weather in Rhode Island. 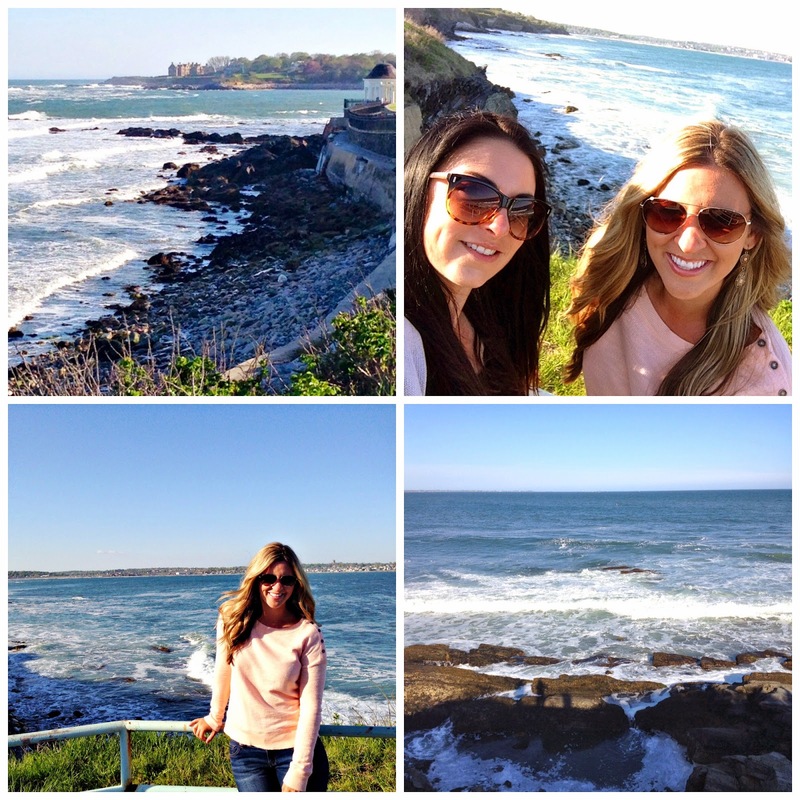 My first stop was Newport, where I drove through town and took in the views along the Cliff Walk. Bryan and I had been here during the fall a few years ago, so it was cool to be back this time of year. 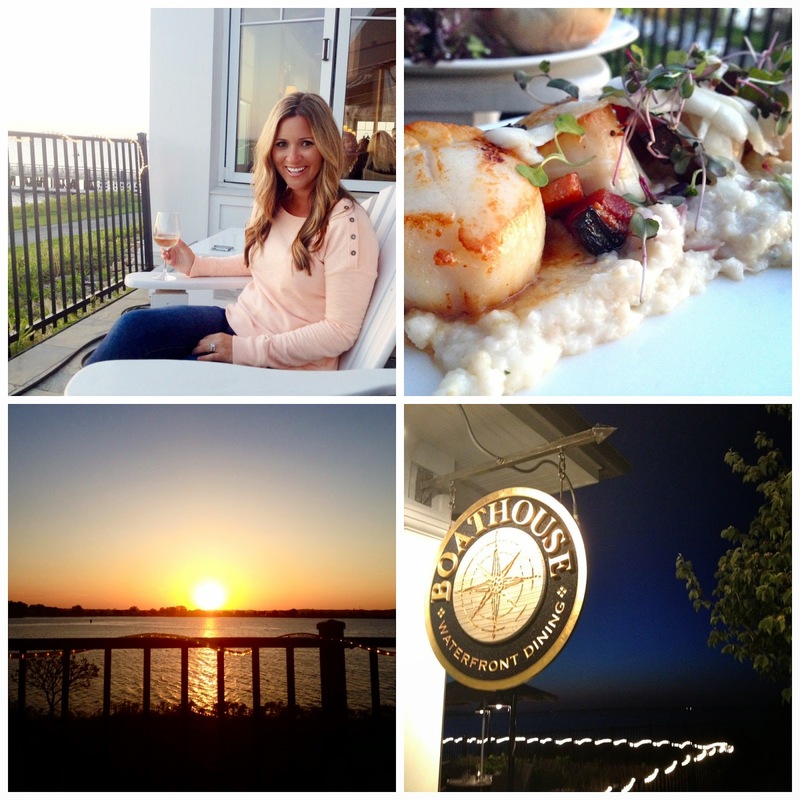 From Newport I headed north to Tiverton to have dinner at Boat House Waterfront Dining. We ate dinner on adirondack chairs while taking in the sunset over Mt Hope Bay. It's worth noting that my scallops over risotto were seriously incredible! Before heading home I had my first Awful Awful experience at Newport Creamery. It was okay, but nothing to right home about. But you know what is worth writing home about? 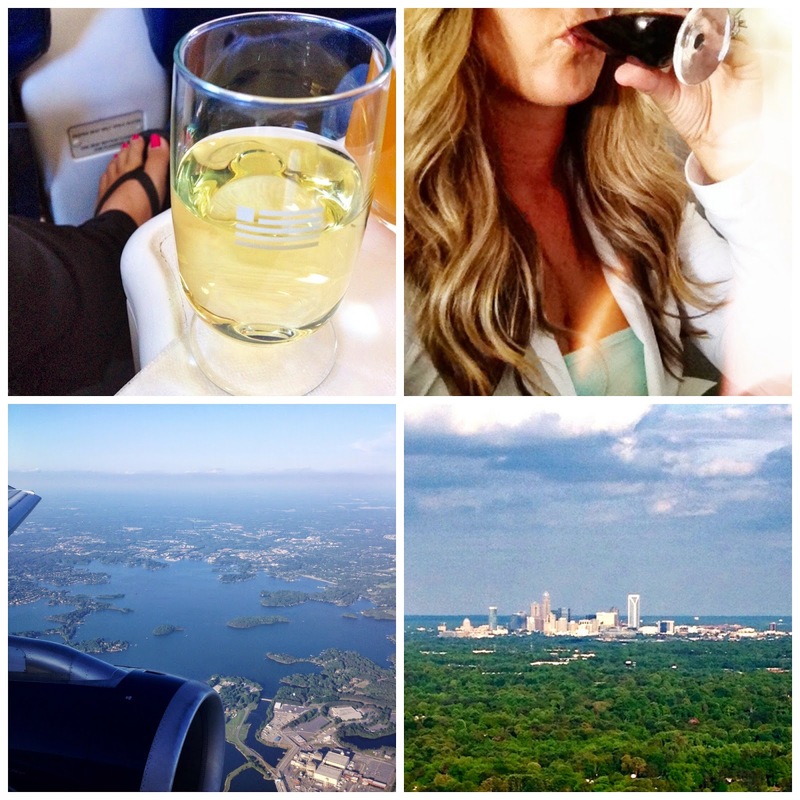 The perks of first class, the view of Lake Norman (I spy my neighborhood!) and the Charlotte skyline. Thank you, Rhode Island, for providing me with perfect weather, great food and salty ocean air! I've always wanted to go to Rhode Island...Providence and Newport. Maybe one day I will make it there. Looks gorgeous. Beaches look completed different on the East. Yum scallops! Sidenote I'm looking up stuff for Barcelo and your pics just showed up.. Lol! You look as pretty as ever friend! First class rocks! I take it you're back working? Does B take care of Trace while you're gone? Or is he in daycare?